To enable server interaction for most applications, including mobile apps, you’ll need a good Web Service interface, and REST Services works brilliantly for that. 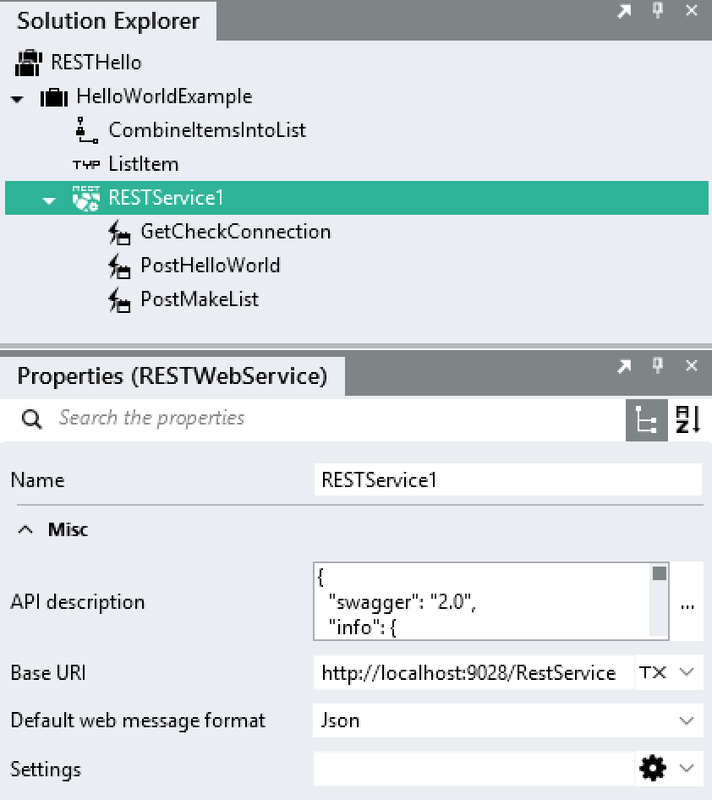 In Linx you can easily create highly customised REST Web Services. In this example (Attached) , I’ve created a quick Hello World demonstration of using the RESTWebService Service of Linx 5. The first step is to define the Web Service using a tool called Swagger Editor. It’s an extensive language that is easy to learn, but I’ve Attached the definition below (remove the .txt extension). You can use it as a starting template, just import it into Swagger Editor. Two more notes on this subject. In the above JSON to test and debug the process, you need to just retype (not copy and paste) the values. Websites normally adds special quote marks ("") to the text, which are not true quote marks in terms of JSON.